Some people—demons, Satan, Naas Alcameth, etc.—just don’t need to sleep. As if being a founding member and multi-instrumentalist in seminal American black metal band Nightbringer wasn’t enough—to say nothing of his work in the trio Bestia Arcana—Alcameth decided to form yet another band, called Akhlys. The name derives from Achlys—the “eternal night” in Greek mythology—which falls over the eyes just before death, and personifies in goddess form both misery and sadness. 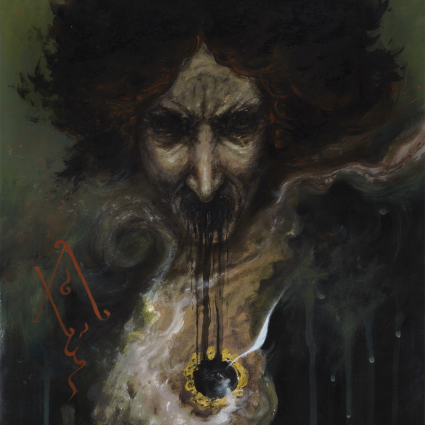 By his own admission, Alcameth has some truly horrifying dreams, and founded Akhlys as an outlet for those nightmares—an act to “serve as a voice for the muse that arises from the dark lands between death and dreams.” And on the debut LP, The Dreaming I—from the ambient opening to the full sound of his vomitous black metal—he has absolutely achieved that goal.